MarquisHDP by Florida Tile is the benchmark floor and wall collection, designed to deliver the most popular and best selling natural stone colors from our PietraArt line. Inspired by the elegance of luxury marble tiles, MarquisHDP delivers an uncompromising level of color and variation using our HDP - High Definition Porcelain® printing technology. From the palace of Versailles to the stately chateaus of French nobility, the grandeur and decadence of an aristocratic lifestyle was always surrounded by a sea of the finest natural marbles. The quality, colors, styles and ambience of the MarquisHDP by Florida Tile delivers a small sense of that character to your installation. Four contemporary colors are delivered in a smooth natural finish for the porcelain floor tiles and a glossy surface in the ceramic wall. 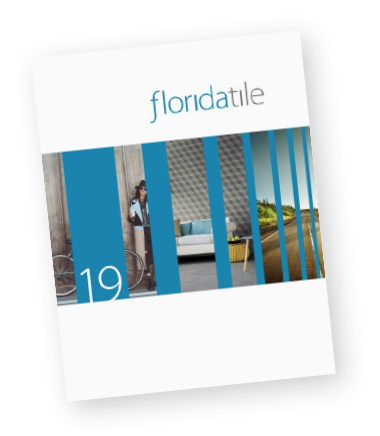 This premium line is decorated with several listello options for each color of field tile, chair rails and corners, mosaics and bullnose. With the exception of select trim, decorative and ceramic pieces, this product line is Made in the USA of 40% pre-consumer recycled content, is GREENGUARD® and Porcelain Tile Certified.